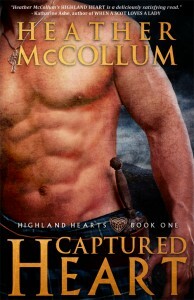 Get Smitten With Heather McCollum's Steamy Highlanders! Excitement, Love and Magic - they're all there in Heather McCollum's steamy 16th century stories! We're revealing the covers of TANGLED HEARTS and CRIMSON HEART, the upcoming novels in Heather McCollum's Highland Hearts series, today! In total, the HIGHLAND HEARTS series includes three main, full-length novels, CAPTURED HEART, TANGLED HEARTS, and CRIMSON HEART. A very short novella (13K words), HIGHLAND HEART (missing the all-important “s” at the end) is a prequel to the series, revealing how the first dragonfly-magic came to the western Highlands. UNTAMED HEARTS is a long novella (40K words), which bridges the gap between TANLGED HEARTS and CRIMSON HEART. Although each title is written to stand alone, reading them in the following, chronological order will enhance one’s immersion into this 16th-century world of adventure, love, and magic. HIGHLAND HEART (short novella) - Available NOW! Rachel Brindle has a secret: she can heal people with her magic. But when her secret is exposed, will it condemn her in the eyes of the barbarian who has captured not only her family, but also her heart? CAPTURED HEART – Book 1, Available NOW! Winter winds rip across the Highlands, pressing Chief Caden Macbain forward in his desperate plan to save his clan. He’s not above using an innocent woman to bargain for peace if it keeps his clan from starving. But Meg Boswell isn’t who Caden thinks she is, and when she kills a man to save the clan, he must choose between duty and her life. For although he captured her to force a peace, Meg's strength and courage have captured Caden's heart. UNTAMED HEARTS – (long novella) - COMING SOON! As the illegitimate daughter of King Henry VIII, Elena Seymour has spent most of her life in hiding. Keeping her royal blood a secret has been a success for years, but when Bloody Mary discovers Elenas lineage, she must not only flee to Scotland for her freedom, but also for her life. Highland warrior Searc Munro has secrets of his own. In a family of healers, his own dark, killing magic must never be known. But when his fathers life is threatened, Searc’s secret is revealed. No longer welcome in his clan, he sets off alone, only to find another use for his magic: to save a beautiful young lass being attacked in the forest. Teaming up as exiles, Elena and Searc head toward Edinburg to find refuge. Now, the two must find a way to trust each other, despite their secrets, before its too late. So, without further ado, here are the covers! We'd love to hear what you think, so share your thoughts with us! Take a look at the covers of all the books in the series, vote for your favorite cover (Rafflecopter at the end of the post) and you might win a $15 gift card to Amazon or Barnes and Noble! 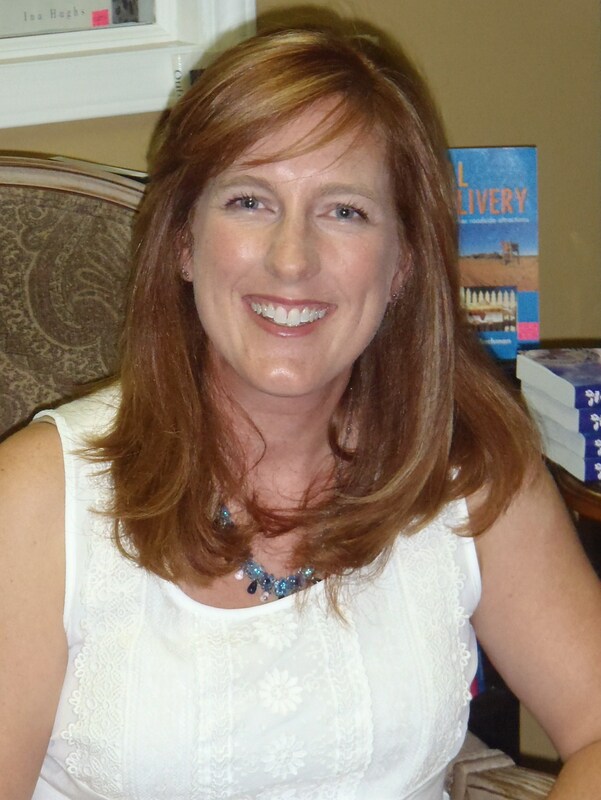 When she is not busy writing and answering calls of "Mom", she can be found educating women about ovarian cancer. She is a teal warrior herself and just finished slaying the ovarian cancer beast. She currently resides with her very own Highland hero and three spirited children in the wilds of suburbia on the mid-Atlantic coast.